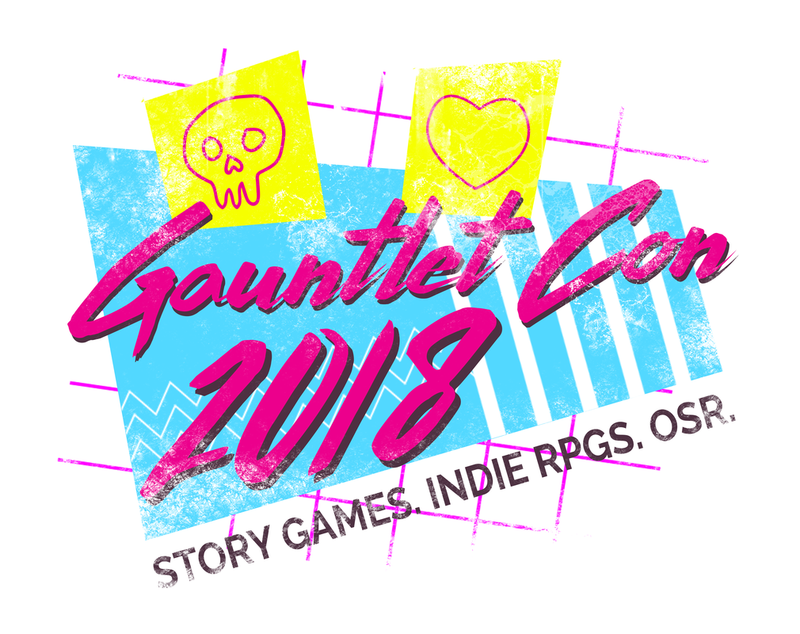 Gauntlet Con 2018 was a major success! Thanks to everyone who came out and played games. YouTube links to games and panels will be posted here shortly. BerlingsBeard offers for-hire dungeon master services in the New York City area since 2013, co-creates Bored Ghost actual play podcast for indie TTRPGs since 2016, and has been partnering with NYC based creators to produce memorable role playing game events, products, & experiences both online and IRL since 2010. Fan of DC Comics, 80's music, Dresden Files, Fairy Tail anime and nature documentaries. Playing RPGs since 1989, Running RPG's since 1992. Released homebrew setting Rikirta in 5E and Dungeon World on drivethrurpg. Familiar with 2E, Pathfinder, 4E, 5E. Cyberpunk 2020, Shadowrun 2E, Rifts, Palladium FRPG, Rolemaster, Dungeon World, Monster of the Week, World of Darkness. Creator of Conjure Hagalaz (PBTA Fantasy Espionage-Investigation). ​During Gauntlet Con, Blake will be running Conjure Hagalaz. 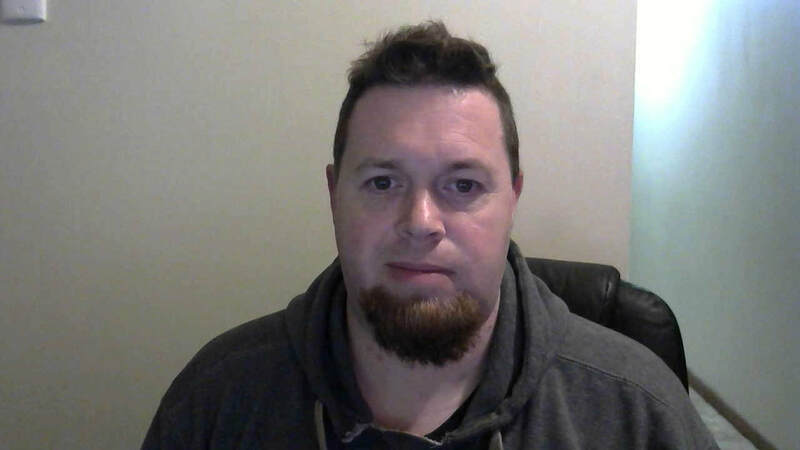 Gareth H. Graham is a tabletop role-playing and story game designer based in Cape Town, South Africa. His designs are often games exploring stories of characters pushed to their limits. 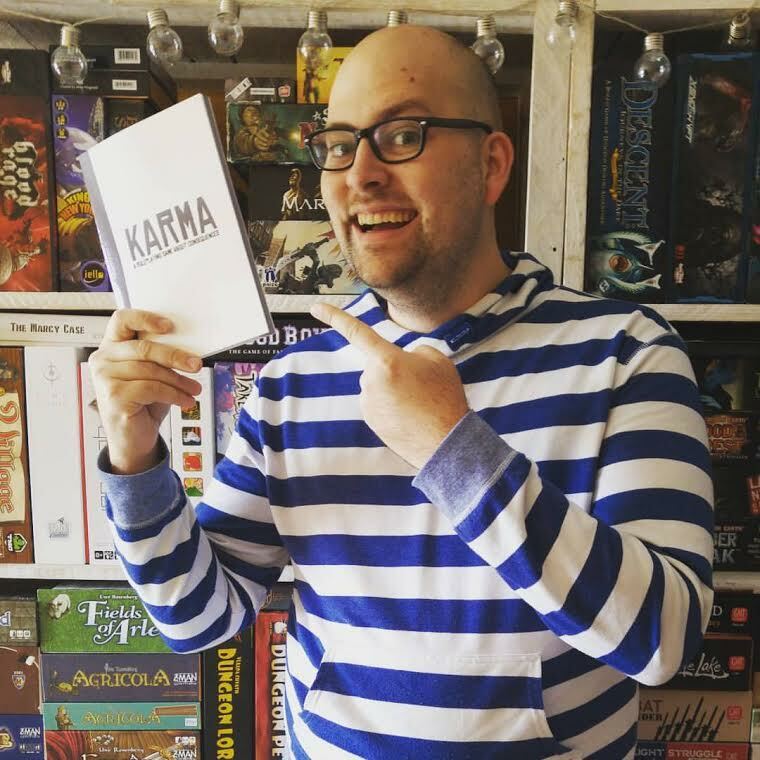 He runs the boutique RPG publishing company Frenzy Kitty Games and his recent releases include Children of the Fall, KARMA, DUSK, Unchained and many more. Gareth will be running Children of the Fall. A science teacher by day and game designer by night, Jeff runs Biohazard Games. He is the creator of our Blue Planet RPG, lead author for FFG's Midnight setting and the creator of our newest roleplaying game, Upwind. During Gauntlet Con, Jeff will be running Upwind. Michael Prescott writes and illustrates the Trilemma Adventures series of free fantasy adventures. He's also got a trio of PbtA RPGs in the works, including a gritty mech mercenary company game, Too Good To Be True. Find him at blog.trilemma.com or on Twitter @fuseboy. During Gauntlet Con, Michael will be playtesting Too Good To Be True. Katriel Paige tried playing D&D and roleplaying games in the 90s, but kept getting pushed away from the table. However, they never lost the passion for creating stories, and resumed playing in 2003 with D&D 3.5. Now, they play D&D 5e, have helped to copyedit the Emerald Spire Superdungeon (Pathfinder), and have most recently freelanced for Onyx Path (Night Horrors: the Tormented and Dystopia Rising: Evolution, as of now upcoming) and written a short story set in Freeport for Nisaba Press (as of now, upcoming). During Gauntlet Con, Katriel will be running Chronicles of Darkness. Jeremy thinks way, way too much about Dungeon World and is endlessly working on his "hearth fantasy" DW hack, Stonetop. You can find him in the Dungeon World Tavern on G+ or at spoutinglore.blogspot.com. He lives in Madison, WI. Jeremy will be running a three-part Stonetop series at Gauntlet Con. 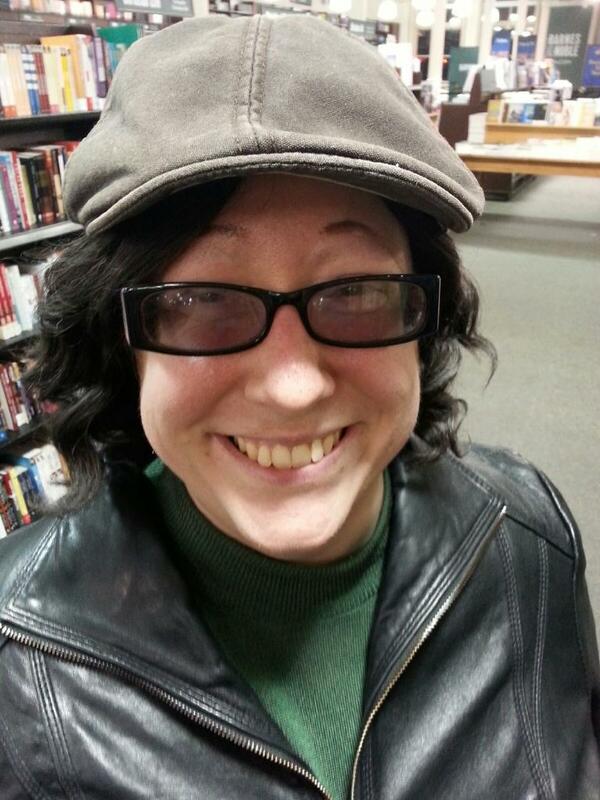 Jennifer Adcock is an RPG designer, prose fiction writer, and blogger from Buffalo, NY. 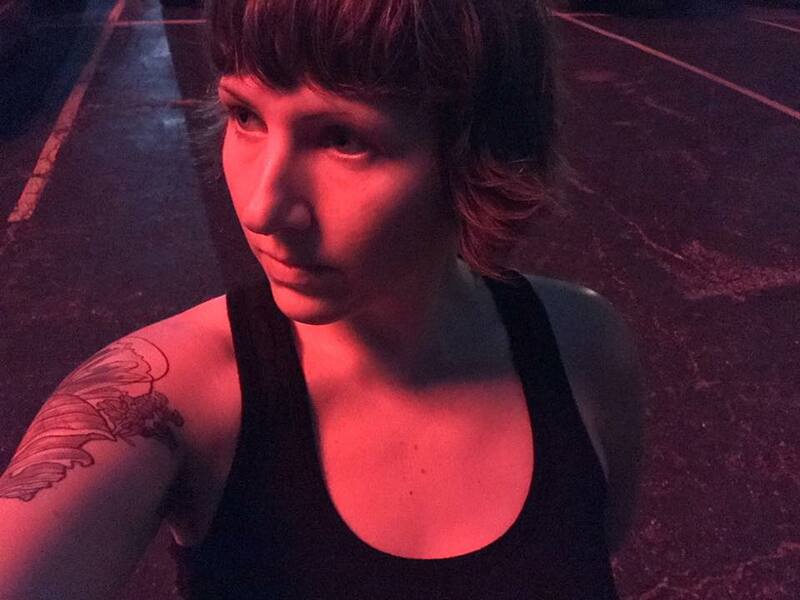 She believes in story above all, and has written for games as varied as Dungeons and Dragons, Costume Fairy Adventures, and Fiasco. She loves to introduce new gamers and long-timers alike to the wide world of indie games. You can support her work here: patreon.com/jenkatwrites. During Gauntlet Con, Jennifer will be running D&D 5e: CLERIC CON LXXVII, and Costume Fairy Adventures: Swan Lark. Julien Pouard is definitely multiclassed : podcaster and game designer by night, teacher by day, and baking pastry in between. He lives in Paris suburb, France and often blesses the long commute that lets him daydream and work on his games. In June 2017 he self-published his first game (De Mauvais Rêves , about bad dreams) and is working on publishing a collection of hacks for the game later this year. During Gauntlet Con, Julien will be running Standing Watch. 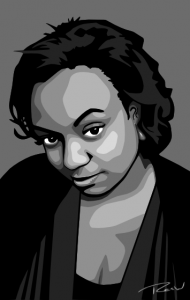 KN Granger is a writer, artist, musician, and game designer who lives in the tri-state area. She develops games that prioritize inclusivity and enjoys low-crunch, high-story concepts. Her best-known games are Ghost Ship Enyo and Traction Park. During Gauntlet Con, KN Granger will be running Musical Mystery Mansion. 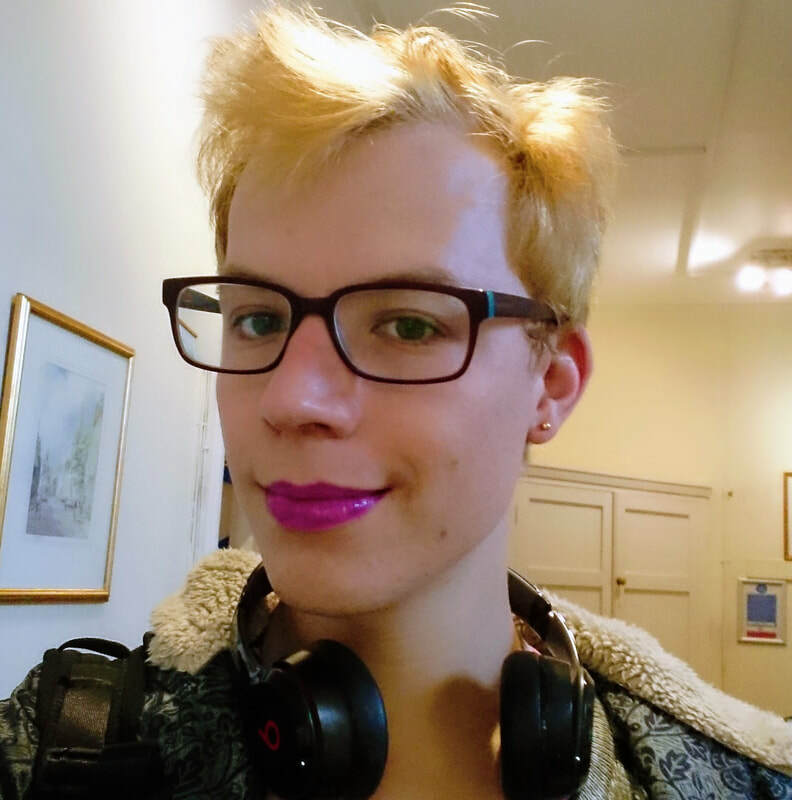 Jonathan (He/Him) has been working in and around games for over a decade. His latest project is called We Used To Be Friends and it’s a collaborative teenage detective drama game published by Growling Door Games. Let's have some fun telling stories together! Jonathan will be running Awoke: Cold Shoulder Road and We Used to Be Friends. 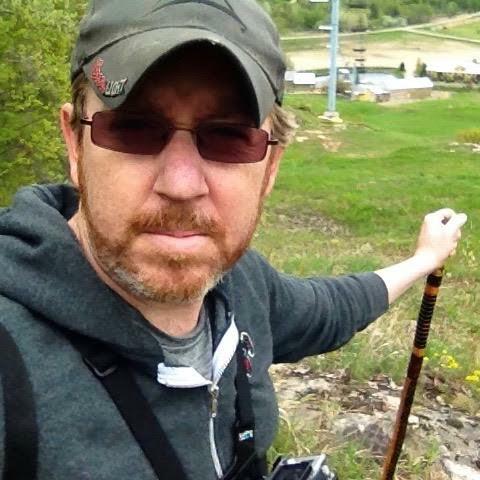 Keith Stetson is an educator and game designer in Glenside, PA. He has been running, playing, and creating games since getting his hands on the original red box D&D set. In addition to contributing to the Itras By Menagerie and Dialect, his game Seco Creek Vigilance Committee was Kickstarted in 2017. His thoughts and creations appear at HumanHandAndBrain.com. During Gauntlet Con, Keith will run Seco Creek Vigilance Committee. Elizabeth Chaipraditkul is a game developer, author, and owner of Angry Hamster Publishing. She is the author of dark fantasy game WITCH: Fated Souls and a game about human heroes and their animal companions, Familiars of Terra. Liz has been the lead developer for John Wick Presents with books set in the 7th Sea World including the Crescent Empire and Heroes & Villains. She has also written for numerous companies including Wizards of the Coast, Onyx Path Publishing, Magpie Games, and Third Eye Games. During Gauntlet Con, Elizabeth will be running Afterlife. Cat Tobin is the Managing Director and co-owner of Pelgrane Press. 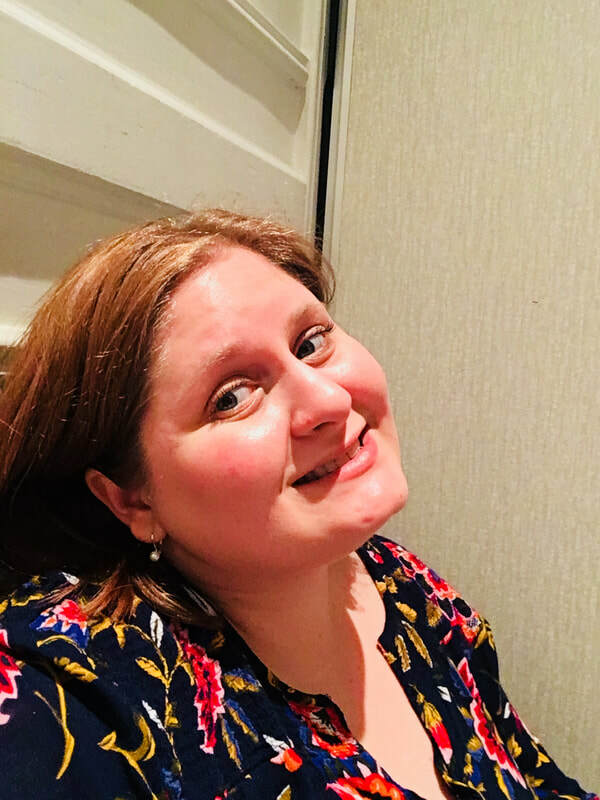 An Irish native, she has been heavily involved with the roleplaying community in Ireland and the UK since the late 1990s, doing everything from writing and design, to marketing, finance, and convention organisation. She likes coffee, hates mornings, and her favourite vegetable is the potato. Cat tweets from @CatTHM. During Gauntlet Con, Cat will be running Alma Mater Magica. 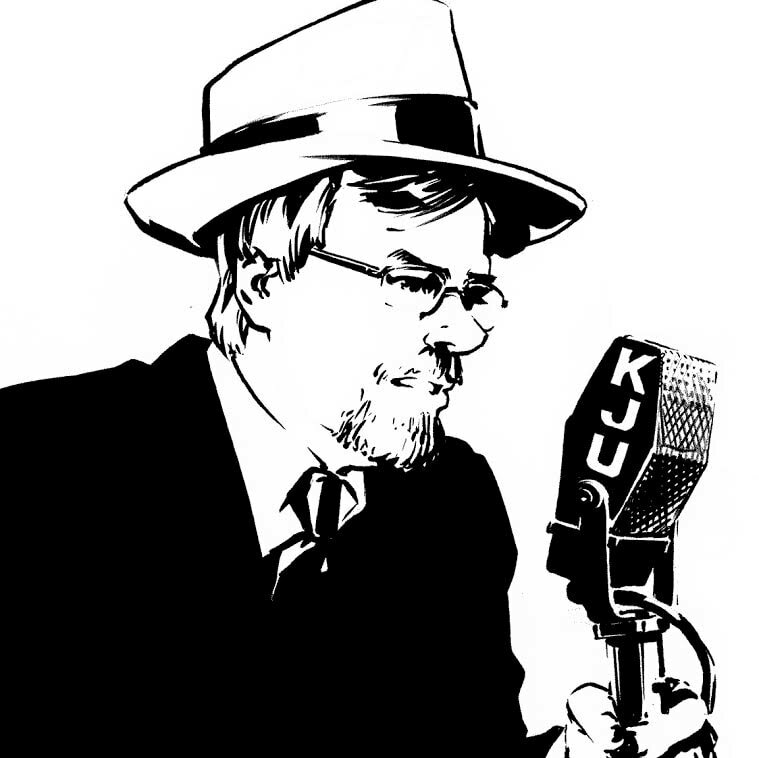 Dr. Jason Cox is a professor of Art Education whose research specialty is role-playing. He enjoys small Indie games, and is especially fond of Masks. During Gauntlet Con, Jason will be running Faded Masks. Misha is a longtime gamer and GM working on raising the next generation of geeklings. 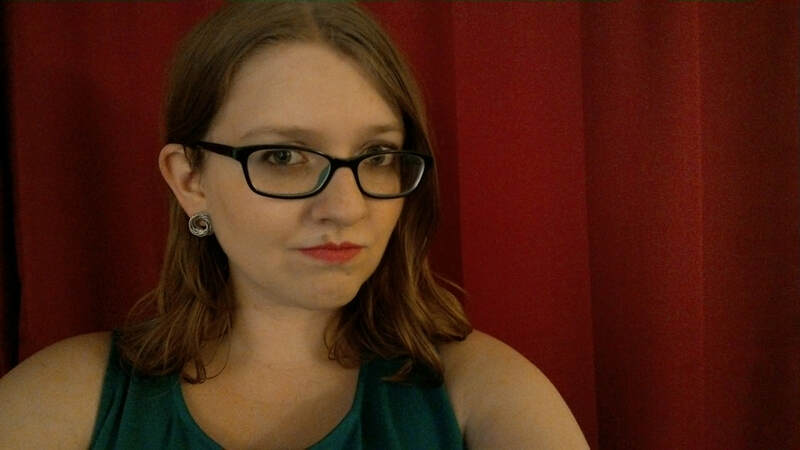 She’s written for multiple games including Chill: SAVE, Lovecraftesque, and Dead Scare, and was an editor of the award winning #Feminism collection of nanogames. She blogs gaming inspired fiction at BlackGirlGameWorks.com, is one of the founders of New Agenda Publishing, and is a curator for More Seats at the Table. Her latest project is Orun. 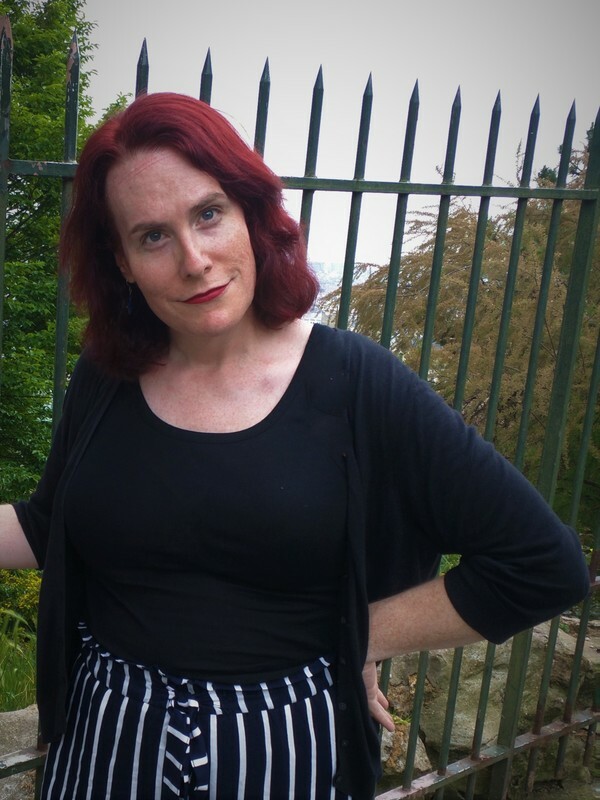 Vivien Feasson is a French game designer and a translator (Call of Cthulhu, Paranoïa, Spirit of the Century, etc.) who likes to theorize on games sometimes. He is behind the Edo-era chambara Les Errants d’Ukiyo but also the indie Lost in the Rain, a GM-shifting storygame where you play lost children that try to survive in the ghost of a city. Inspired by other local designers, he's discovered that you could conceive several games based on the same universe, so he launched a crowdfunding operation for another try at his “rainyverse” with Libreté, a Powered-by-the-Apocalypse game which was successfully published in 2017. Right now, he is trying to prepare the English translation of Libreté, publish a supplement with mechas, get his PhD, earn a living, raise his daughter, continue to play rpgs, and create an OSR version of Lost in the Rain. During Gauntlet Con, Vivien will be running Libreté. 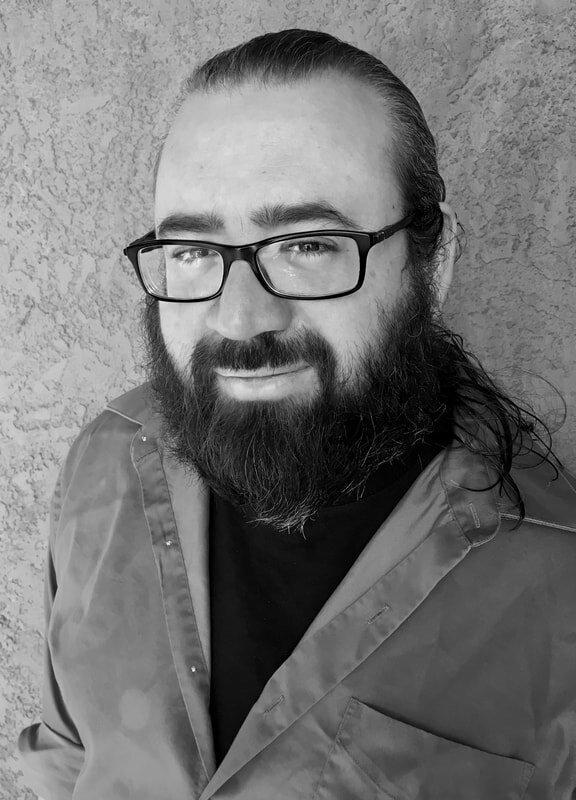 Epidiah Ravachol is an author and game designer known for Dread, the horror roleplaying game that uses Jenga, and his fiction published in the sword and sorcery magazine Worlds Without Master. He resides in the Northeast of the United States of America with his wife and fellow game designer Emily Care Boss and their constellation of space wizards. During Gauntlet Con, Epidiah will be running Wolfspell and Swords Without Master. 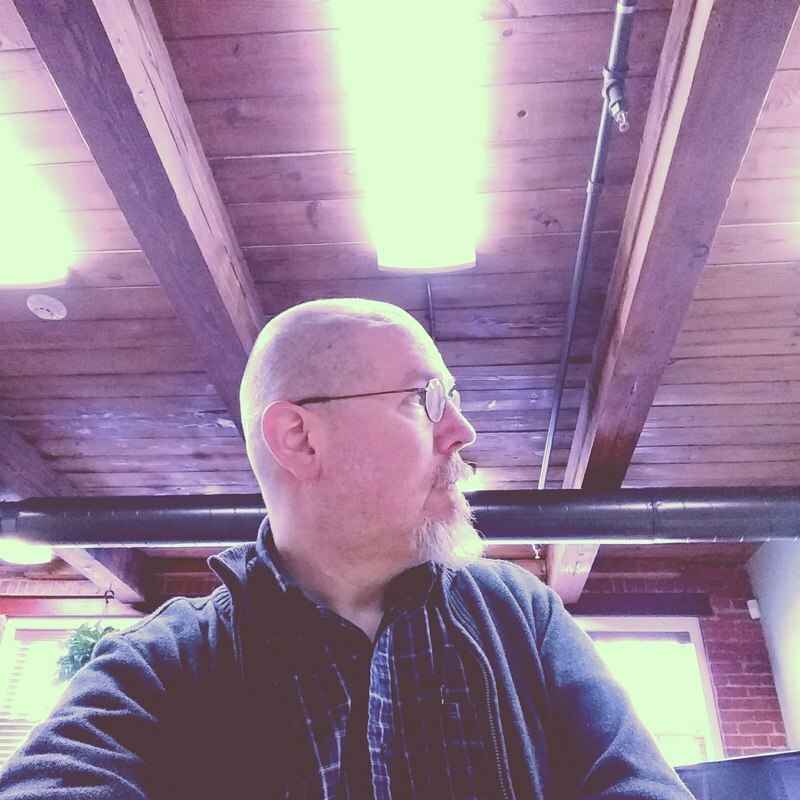 Jim Dagg of Saddle Shaped Games is an indie RPG designer based in Dayton, Ohio. His work focuses on positivity and empowerment, and the hope that the right people in the right place can be the force for good we need. 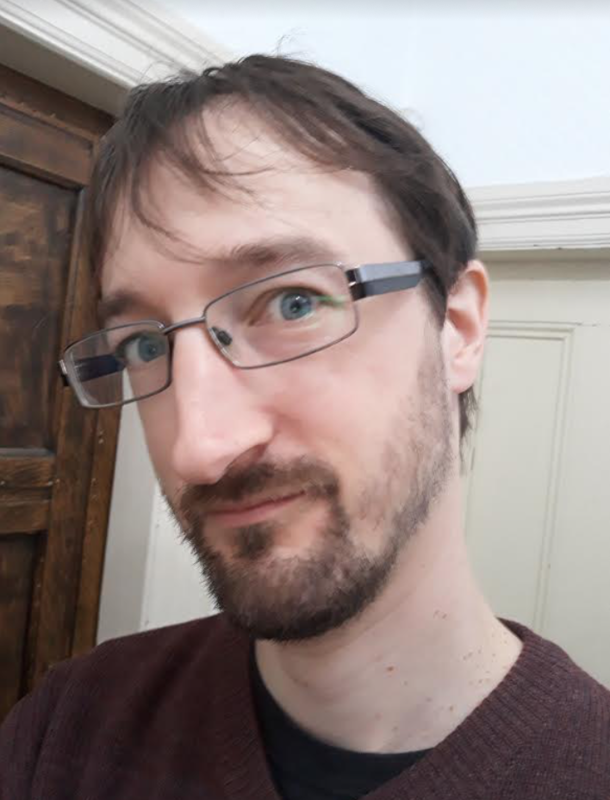 His previous work includes Just Got Real, a zero-prep game about action heroes, and Battle Princess (published as part of the charity anthology Two Weeks), a game starring adventurous young princesses who lead the realm and its citizens from the front. During Gauntlet Con, Jim will be running Retrievers and Swords Without Master. 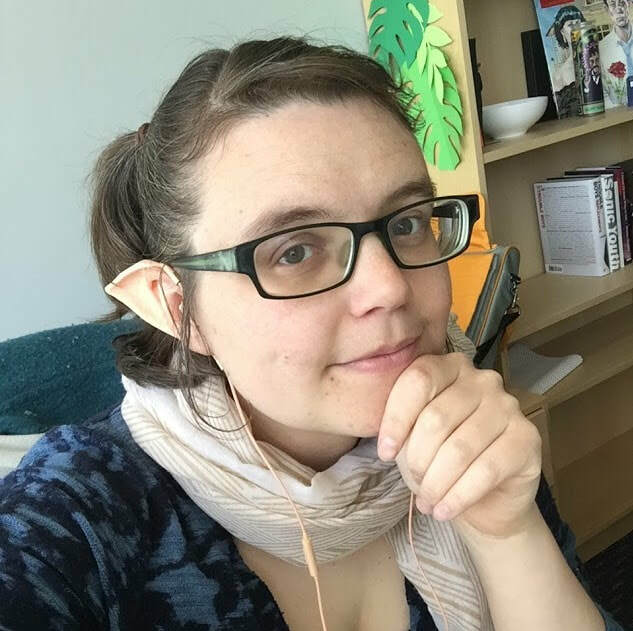 Rach Shelkey is a game designer, writer and podcaster from Toronto. Her love of tabletop gaming comes from a lifelong fascination with experimental media and culture. You can hear her thoughts on gaming as a host of +1 Forward: A Podcast Powered by the Apocalypse. Rach is one of the organizers of Breakout Gaming Convention and her design work has been featured in The Sprawl: November Metric, Golden Sky Stories: Twilight Tales and Codex. During Gauntlet Con, Rach will be running Golden Sky Stories. 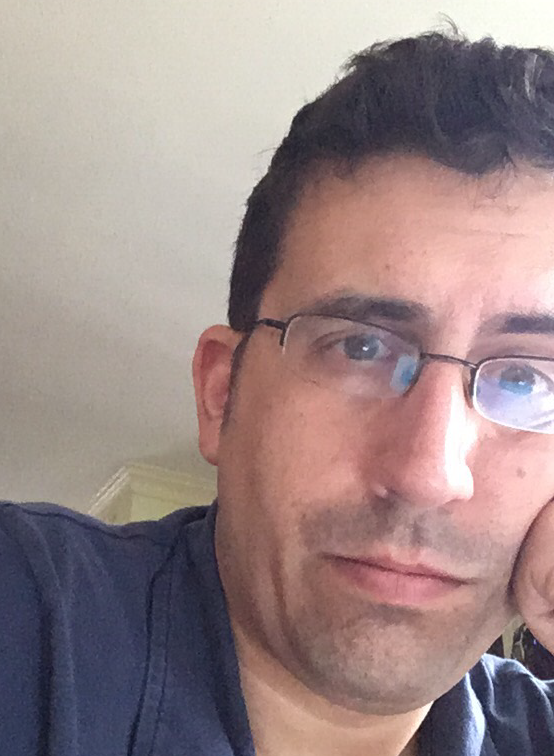 Todd Nicholas is a game designer and co-owner of Wheel Tree Press. His games include The Sword, The Crown, and The Unspeakable Power and Time Cellist. During Gauntlet Con, Todd will be running The Sword, The Crown, and The Unspeakable Power. 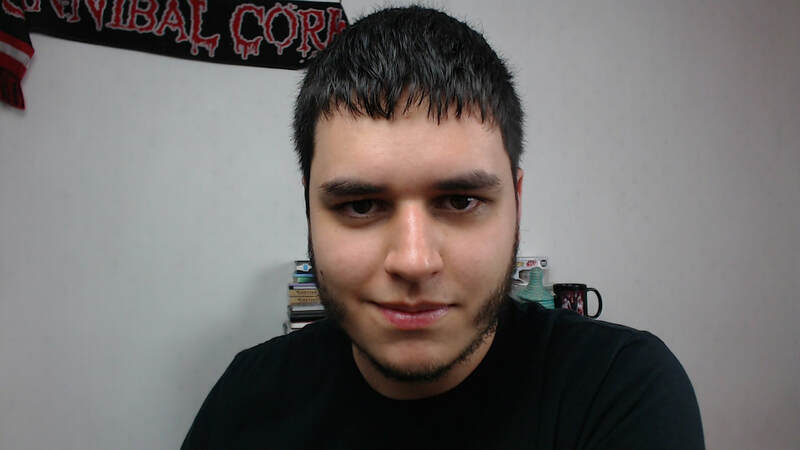 Adrian Thoen is a lover of RPGs that focus on tense, theme-based choices and consequences. Designer of Impulse Drive. During Gauntlet Con, Adrian will be running Impulse Drive. Michelle Lyons-McFarland is co-owner of Growling Door Games and president of the Indie Game Developer Network. She has a Ph.D. in British literature, with specialties in material culture, eighteenth-century literature, and composition. She's the designer of A Tragedy in Five Acts, and has contributed to more games than she can count since she entered the industry in 200o. During Gauntlet Con, Michelle will be running Clue: A Tragedy in Five Acts. Josh got into roleplaying through playing D&D in school lunch breaks and has never looked back. 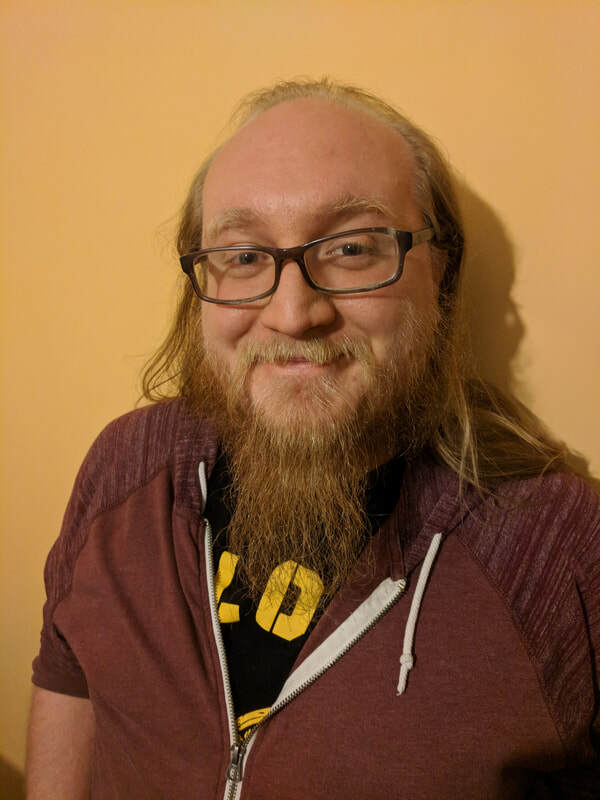 He started designing indie-style RPGs a few years ago and is the co-designer of Lovecraftesque and designer of Flotsam: Adrift Amongst the Stars, and has designed many smaller games like The Big H and the Fiasco playset House of Ill Repute, available on blackarmada.com. In real life, Josh is an adviser to the UK Government, smallholder, and parent of two cheeky children. ​During Gauntlet Con, Josh will be running Last Fleet. Ryan Macklin is a tech writer by day, convention GM and game creator by night. Which is like being an introverted werewolf. 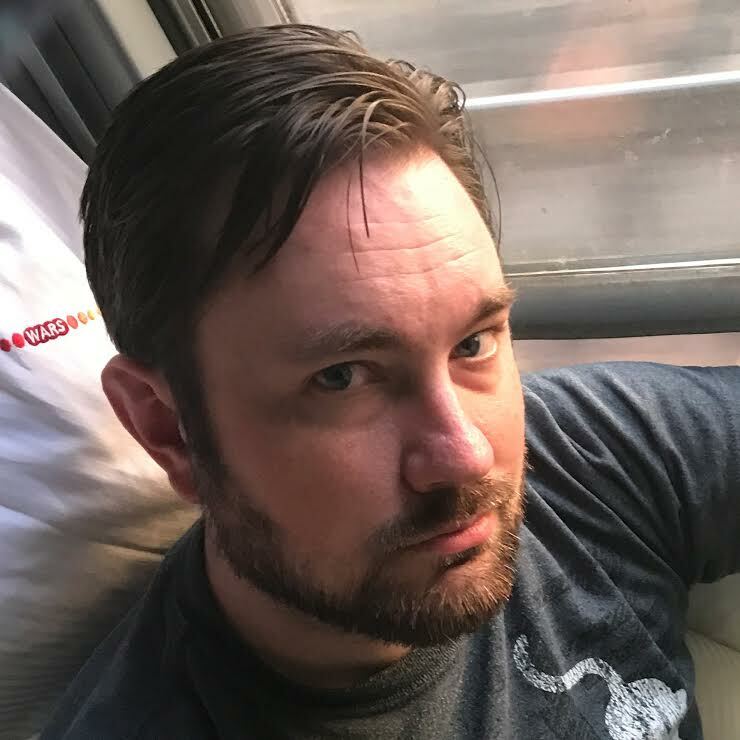 He's worked on Fate, Cortex Plus, Mage: the Ascension, Primetime Adventures, Unknown Armies, and many other games (including his own Mythender and Katanas & Trenchcoats). But Ryan always comes back to his first joy of sitting down with a few humans to tell and play out fun, dramatic stories. Unrelated, his cat is a lovable jerk. 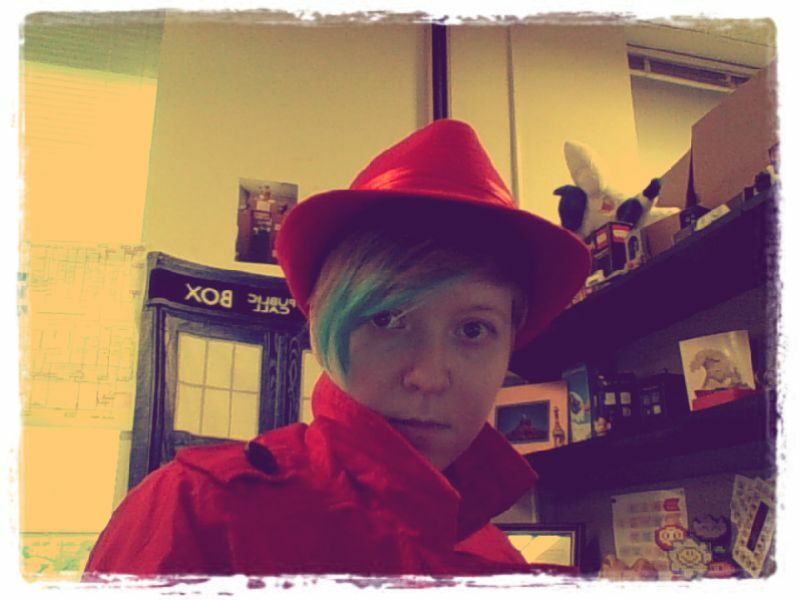 During Gauntlet Con, Ryan will be running Katanas & Trenchcoats. 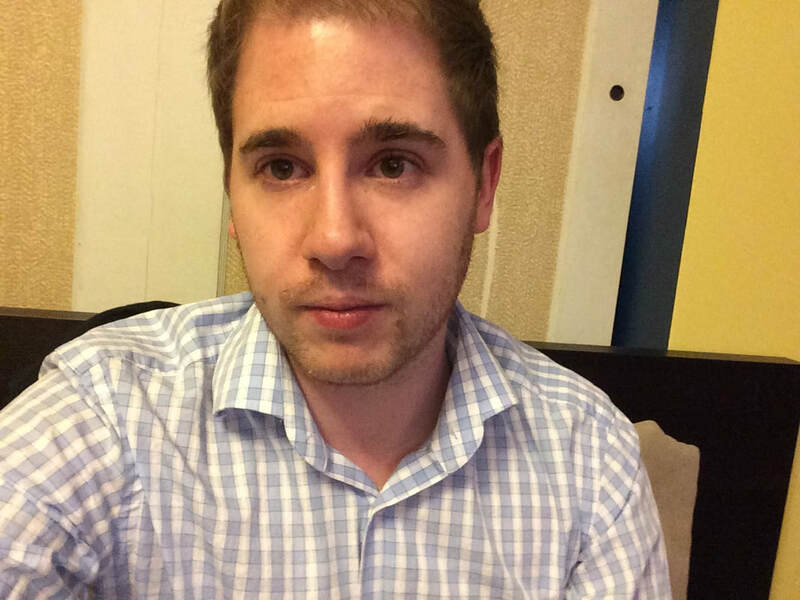 Lowell is a freelance writer/editor and gaming enthusiast. He contributed to the Eisner Award-winning Legends of the Guard and IDW's Rocketeer Adventures. He also scripted DC Comics's Flashpoint: Project Superman. Lowell runs games regularly for The Gauntlet Hangouts. He co-hosts The Guantlet Podcast and records multiple Gauntlet Hangout rpg sessions each week. His blog, Age of Ravens, won the Silver ENnie for Best Blog in 2017. Lowell will be running several sessions of Hearts of Wulin during the con. This PbtA game aims to emulate the high drama feel of stories like Crouching Tiger, Hidden Dragon; Fox Volant of Snowy Mountain; Painted Skin; Proud, Smiling Wanderer; Princess Agents, and more. Tales of misunderstandings, betrayals, and farce mix with martial arts action. 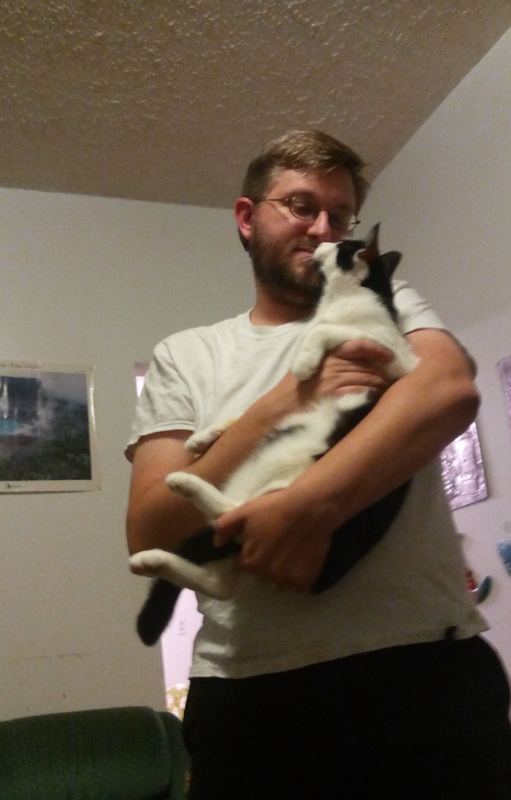 Stentor Danielson is a kitten wrangler, map maker, and environmental studies teacher living in Pittsburgh. Along with Cheyenne Grimes they co-own Glittercats Fine Amusements, publisher of Laser Kittens and other games. During Gauntlet Con, Stentor will be running Cat-pocalypse World. 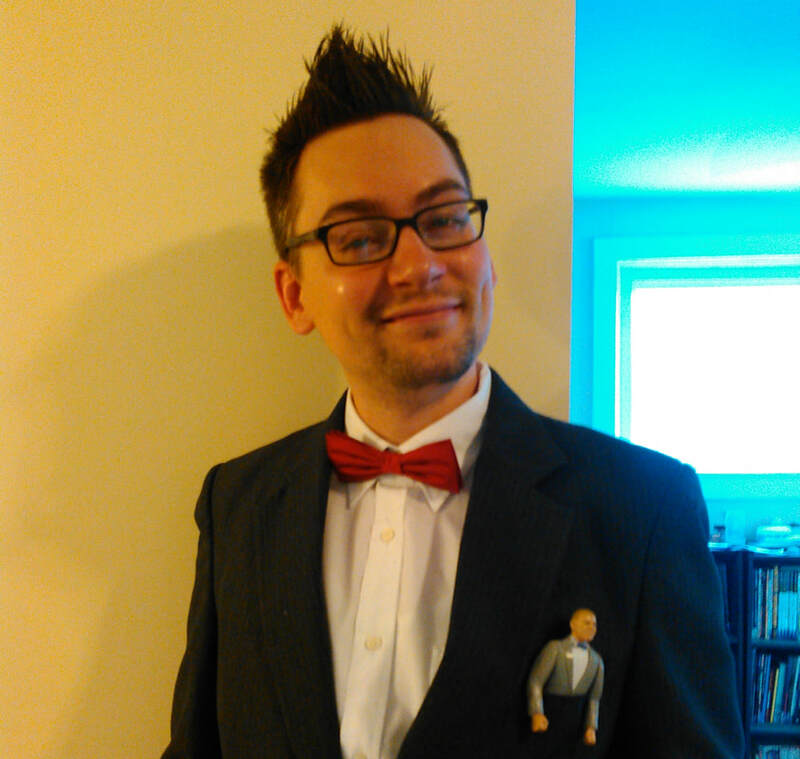 Christopher Grey is a tabletop roleplaying game designer, publisher, author, and marketer. His work spans from fantasy and science fiction, to alternative history, supernatural, and conspiracies. 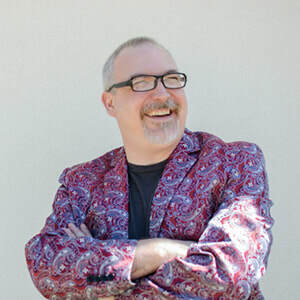 He published the Border Kingdoms Fallen Dungeons & Dragons adventures on DM's Guild, was lead writer for 2CGaming's Lion's Vault adventure path for 5th Edition, and successfully Kickstarted The Happiest Apocalypse on Earth, a satirical horror Powered by the Apocalypse game. During Gauntlet Con, Christopher will be running the Great American Novel: A Roleplaying Game. 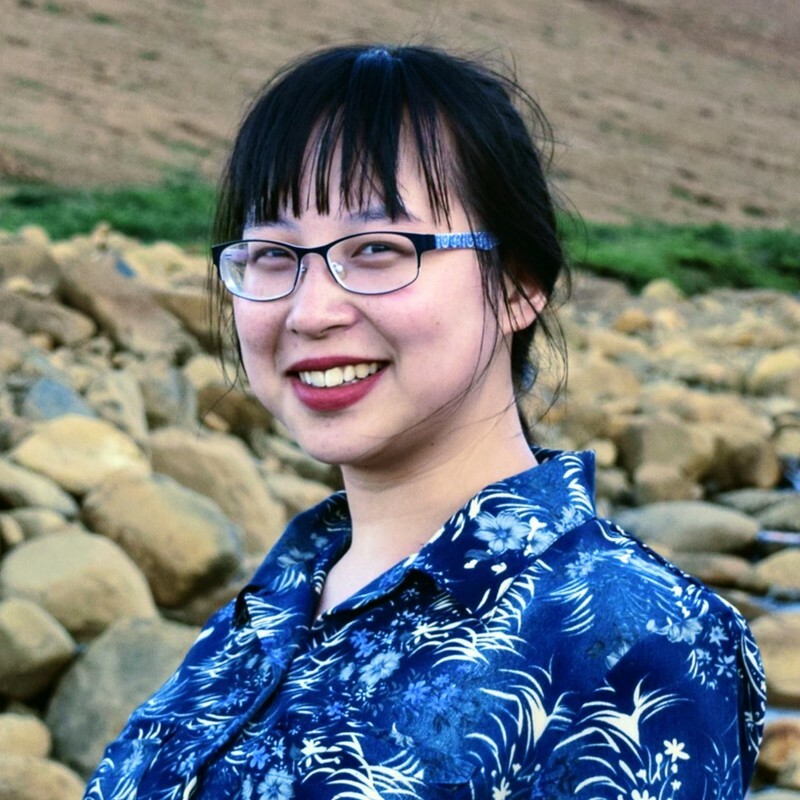 Agatha Cheng is a Canadian podcaster with a deep love for story games and Chinese dramas. She co-hosts Asians Represent!, a show celebrating Asian creators and investigating Asian tropes within the analogue gaming community. In her free time, she likes to sink money into glossy Kickstarter projects and listen to audiobooks. 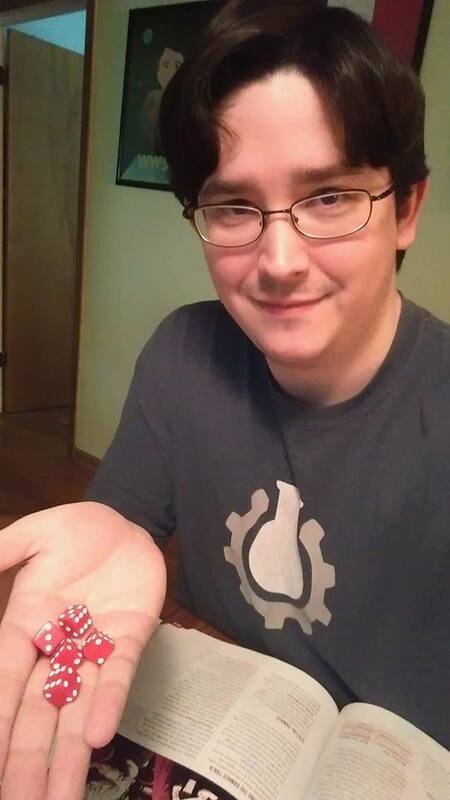 From Jacob: "My name is Jacob Wood, a blind gamer and the person behind Accessible Games. My belief is that games are for absolutely everyone. They connect people to one another in meaningful ways by building lasting friendships and strengthening family bonds. They improve cognition, motor skills, and social skills. Most importantly, games have the potential to change lives–and I have first-hand experience with that. Not every game is designed for every person, but I believe every person should have the opportunity to find a game for them." During Gauntlet Con, Jacob will be running Survival of the Able, and Psi-punk: Born of Two Worlds. 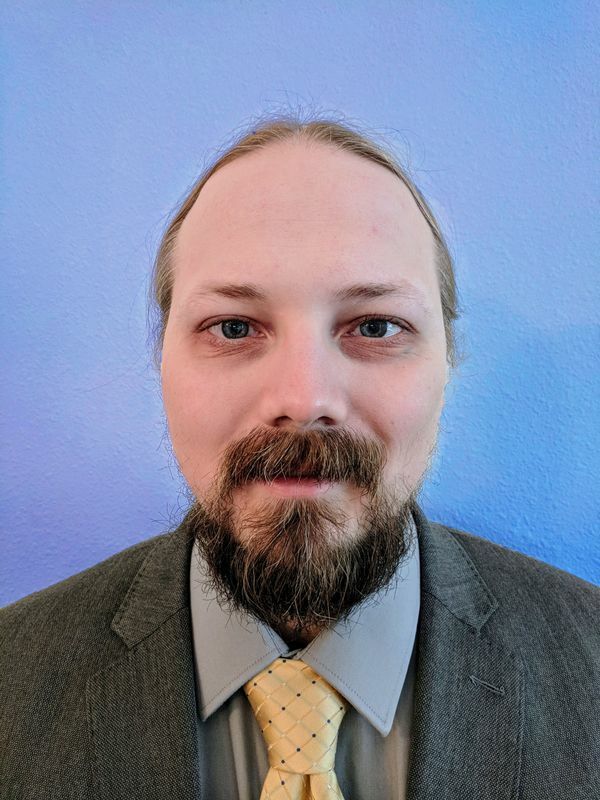 Maury Brown is President of Learn Larp, a US company that produces high-immersion, mechanics-light destination larp experiences and of Snow Dragon Games, a games publisher seeking to improve the accessibility, inclusion, and diversity of representation in the gaming community. A pioneer in using safety and calibration tools in games, Brown applies instructional design principles to her design and organization. 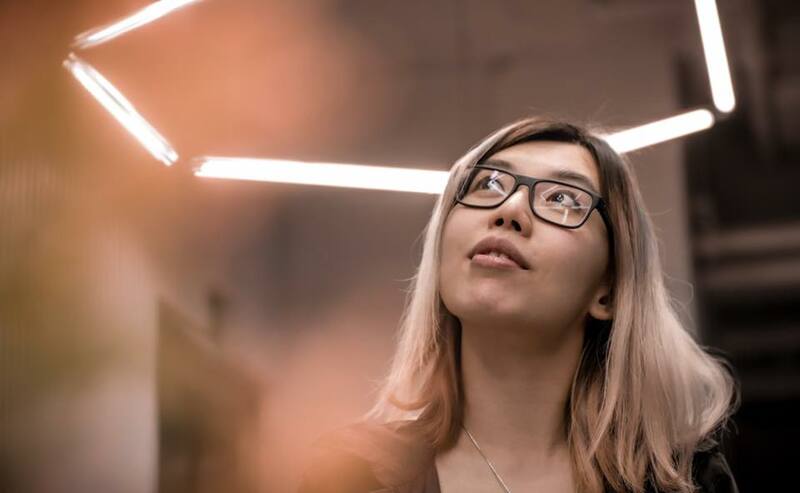 She researches how games can create radical empathy and personal transformation and writes allegorical games that cause players to examine social norms and issues. During Gauntlet Con, Maury will be running Magimundi. 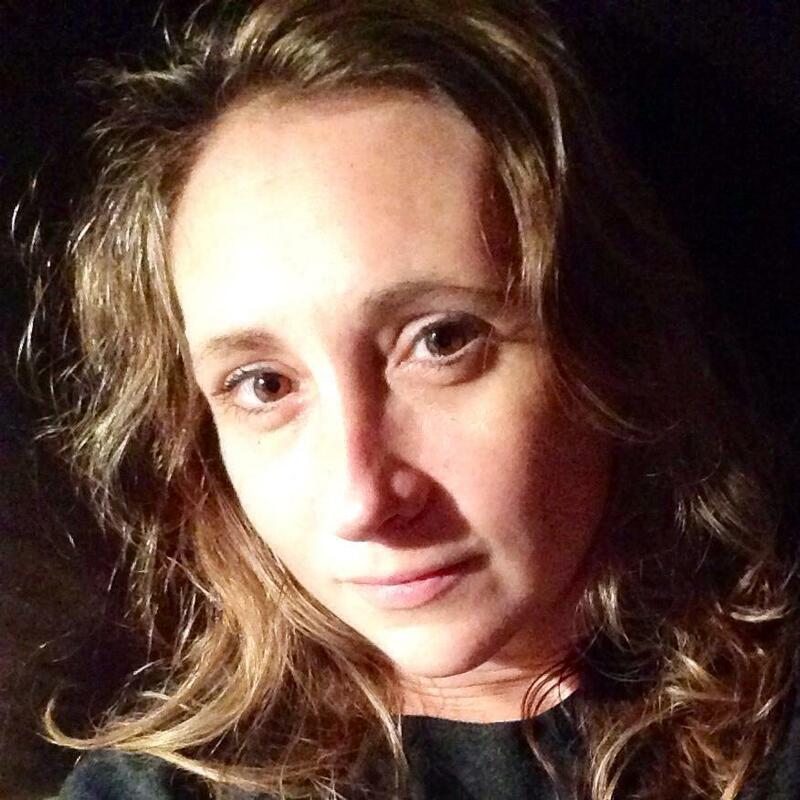 Tara M. Clapper is a professional storyteller with a background in publishing and content marketing. Tara is the founder and publisher of The Geek Initiative, an online community devoted to women in geek culture. After larping and marketing larps for nearly a decade, Tara co-wrote “The Poe Project,” a single-actor play about the death and life of Edgar Allan Poe. She’s also the creator of “She’s Got a Gun,” a four hour salon larp exploring women, marginalization, and power. 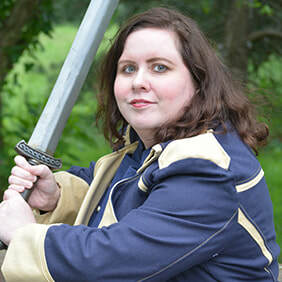 Best known for her innovative foray into digital larp, Tara creates and runs digital events in multiple genres, also writing and running supplemental digital content for others’ traditional larp events. Together with two other women in gaming, Tara hosts the interactive talk show "Larp Chat Live" on Twitch. During Gauntlet Con, Tara will be running CHARIOT Larp, and First Bite, Second Birth: A Contemporary Vampire Digital Larp Experience. 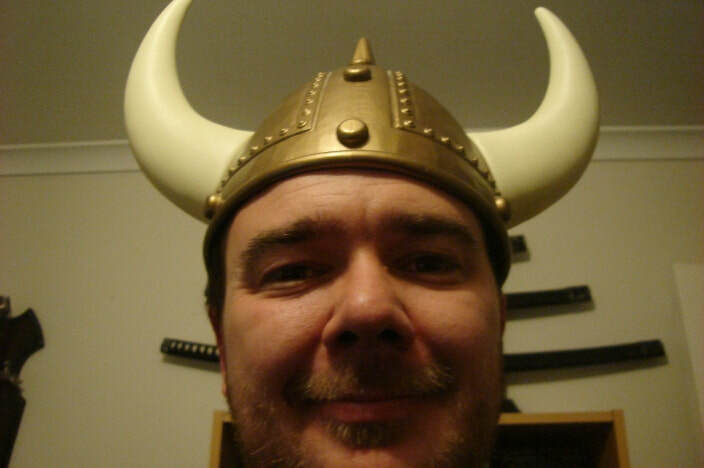 Jay is a UK-based designer of roleplaying games, storygames and microgames that try to transport you to new worlds. ​During Gauntlet Con, Jay will be running Psi*Run and Blades in the Dark. Angel is the owwner of Spanish-speaking indie RPG youtube channel Hijos del Rol and organiser of the Netcon online RPG convention. During Gauntlet Con, Angel will be running Scum & Villainy, and Damn the Man, Save the Music! Fraser Simons is the producer two of The Gauntlet's podcasts: Pocket-Sized Play and We Hunt The Keepers! 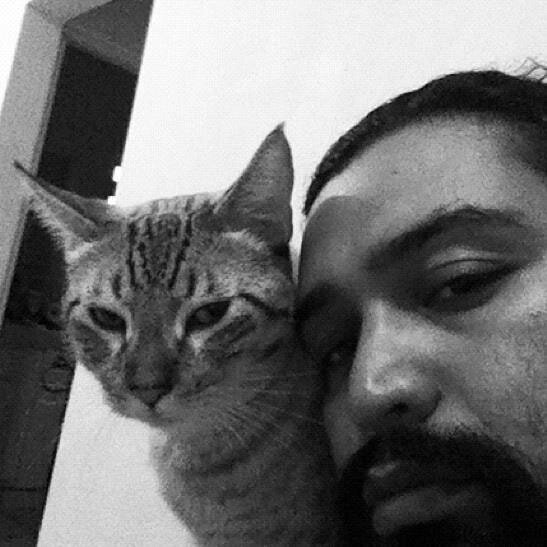 He’s a cyberpunk​ aficionado and game designer best known for Hack the Planet and The Veil. 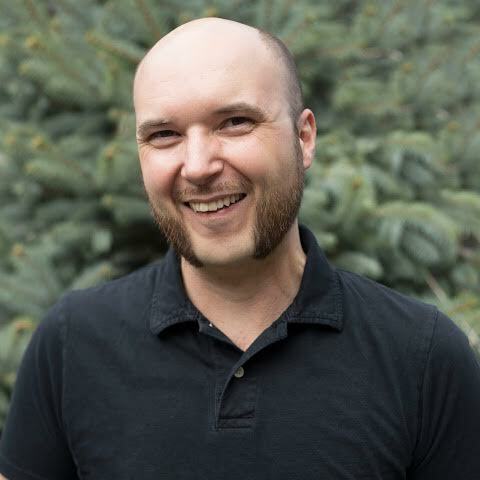 Jason Pitre is a game designer and professional ecologist from the wilds of Canada. 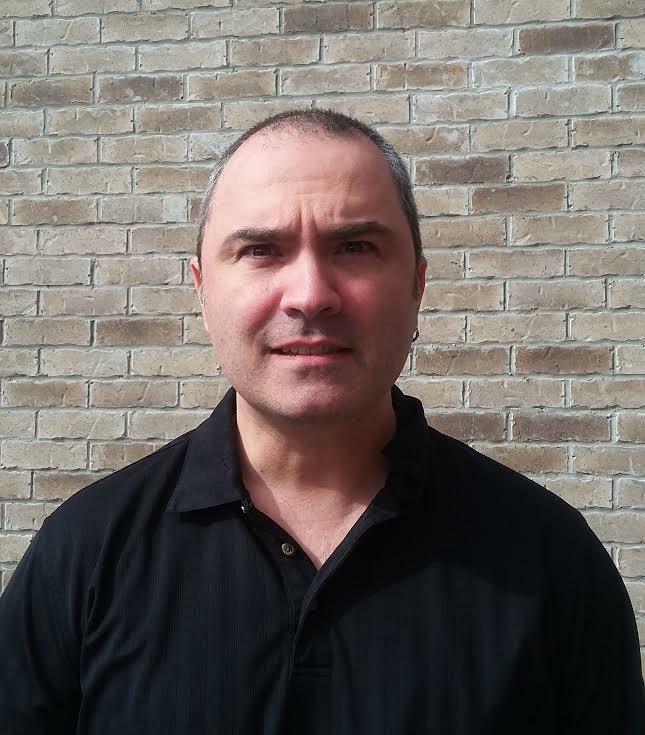 Jason is the creative mind behind Genesis of Legend Publishing, which has produced games such as Sig: Manual of the Primes. He also runs the RPG Design PanelCast, sharing information on roleplaying game design and publishing. During Gauntlet Con, Jason will be running Sig: Manual of the Primes. 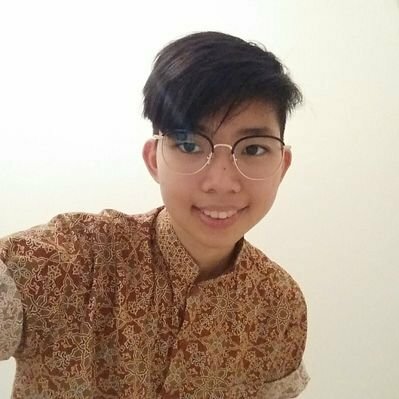 Vee Hendro is a game designer, graphic designer, and one half of Storybrewers Roleplaying. She has published two major games so far, Alas for the Awful Sea and Good Society: A Jane Austen RPG, and has no intention of slowing down! She is passionate about creating safe and fun RPG play spaces, and loves a good-looking book. You can find her IRL in Sydney, Australia, or online @Rocketeer_Vee. 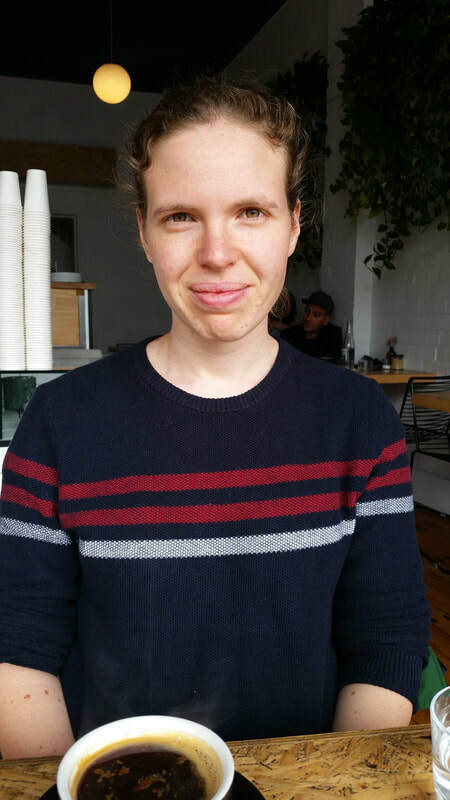 Hayley is a game designer from the mythical land of Straya, and one half of storybrewers roleplaying. Together with co-designer Vee, she's created games such as Alas for the Awful Sea, and Good Society. She's shamelessly addicted to story games and cheese based snacks. ​During Gauntlet Con, Hayley will run May He Most Favoured By the Gods Take Victory and The Fictionalised Memoirs of Harriette Wilson and Her Sisters. 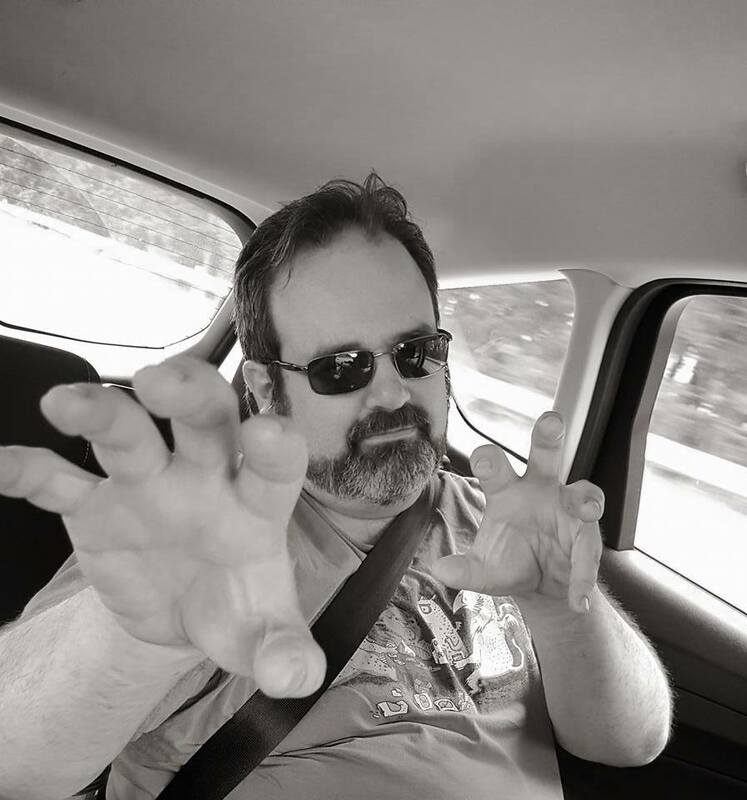 Ron is the owner of Adept Press (Sorcerer, It Was a Mutual Decision, Spione, and other games); co-founder and moderator of the Forge; now playing, designing, and consulting at Adept Play. During Gauntlet Con, Ron will be running Cosmic Zap and Champions Now. Jenn Martin is mostly harmless. She's currently working on Autumn of the Ancients, a hack of Fall of Magic- IN SPACE- as well as MPDGA, a LARP about a bullsh*t trope. She also co-wrote the 2017 Golden Cobra award winner for Game that gives us the most Hope (One Year). By day, a cog in the capitalist machine. By night a game designer, writer, editor, geek parent, crafter and part fae (allegedly). During Gauntlet Con, Jenn will be running Autumn of the Ancients. During Gauntlet Con, Kira will be running SYNC. 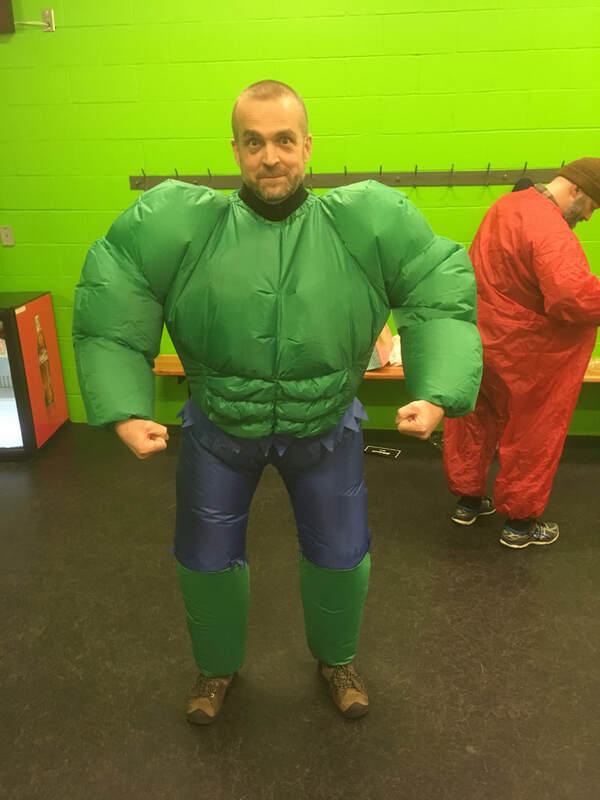 Jeff Stormer is a podcaster, game designer, eggnog enthusiast, superhero scholar, and occasional pro wrestling commentator from Philadelphia, PA. 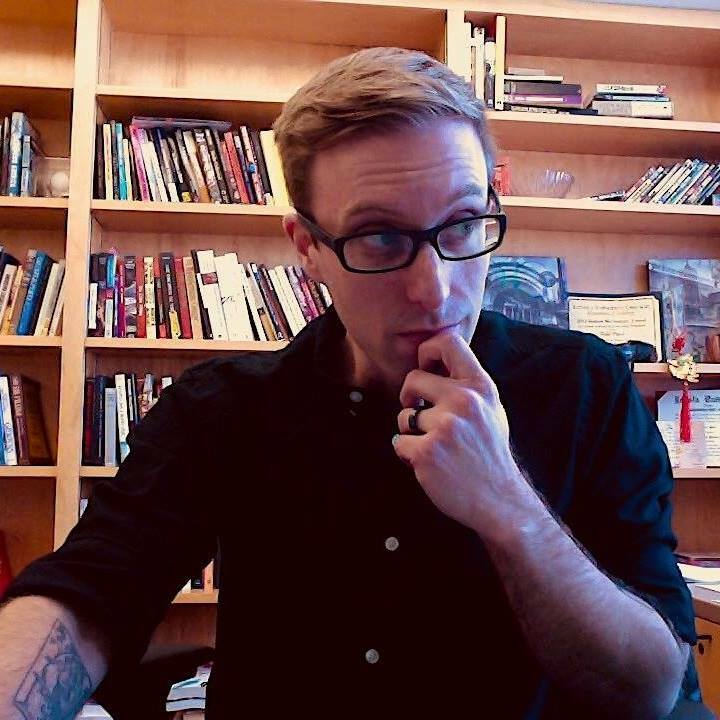 He is the host of Party Of One, an Actual Play podcast focused on two-player roleplaying experiences, and co-host of All My Fantasy Children, a character creation, storytelling, and worldbuilding podcast powered by listener prompts. He loves stories, in whatever form they take, particularly when shared with friends. He also makes a pretty exceptional mixtape. During Gauntlet Con, Jeff will be running Mission: Accomplished! Phil Vecchione is the co-Host of both the Misdirected Mark and Panda’s Talking Games podcasts, one of the founding Gnomes at the Gnome Stew, and one of the partners at Encoded Designs. He is the creator of Hydro Hacker Operatives and co-creator of Turning Point (in development). During Gauntlet Con, Phil will be running Hydro Hackers, and Turning Point. Catherine Ramen is a game designer, one-time blogger, and trivia professional who lives in New York City. 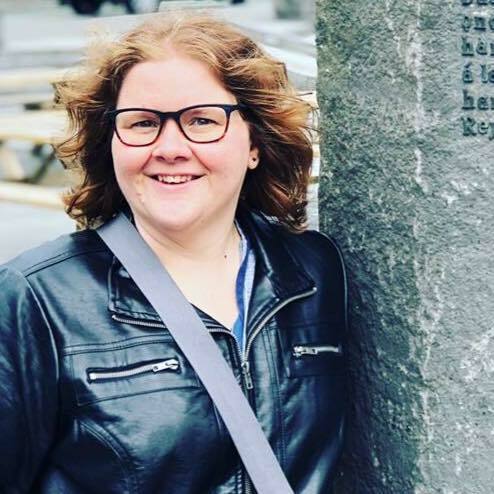 She is the author of Midnight at the Oasis (Codex #22), the science-fiction game Rovers (based on World of Dungeons), and the upcoming Red Carnations on a Black Grave, a storygame based on the brief rise and catastrophic fall of the Paris Commune. During Gauntlet Con, Catherine will be running Rovers and Night Witches. 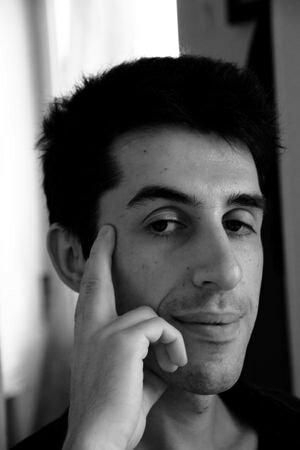 Sharang is an award-winning, internationally-published game designer, writer, and artist. He has exhibited games at the Institute of Contemporary Art in Philadelphia, PioneerWorks in Brooklyn, and The Denny Gallery in Manhattan. 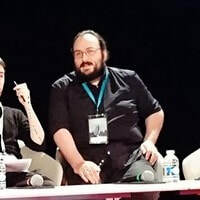 His RPG “Feast” won the IndieCade Dark Horse Award, and his boardgame Mad Science Foundation was published in 2016 by Crypotzoic Entertainment. He regularly speaks at universities, conferences and museums, and writes for various magazines. Sharang holds a Masters from ITP at NYU-Tisch, and a Bachelors of Engineering from Dartmouth. 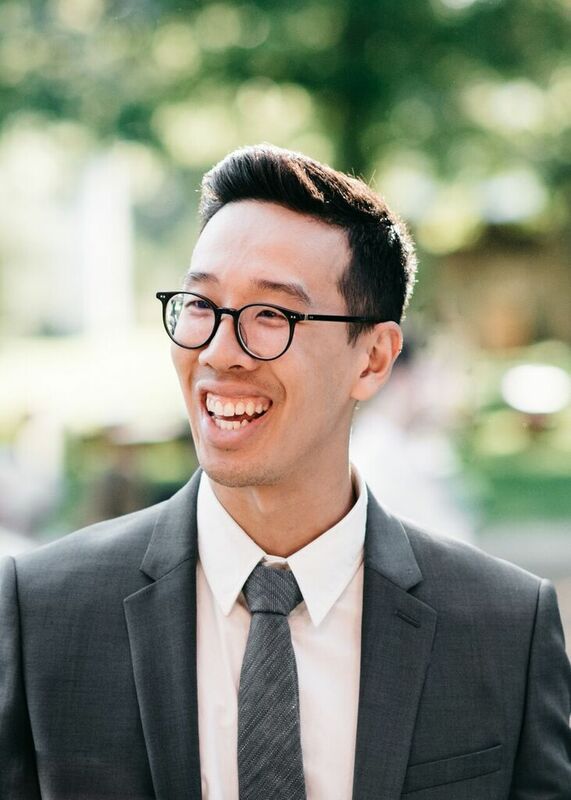 He is the experience designer at The Medici Group, a strategy consulting firm focusing on diversity and innovation. During Gauntlet Con, Sharang will be running Blades in the Dark. 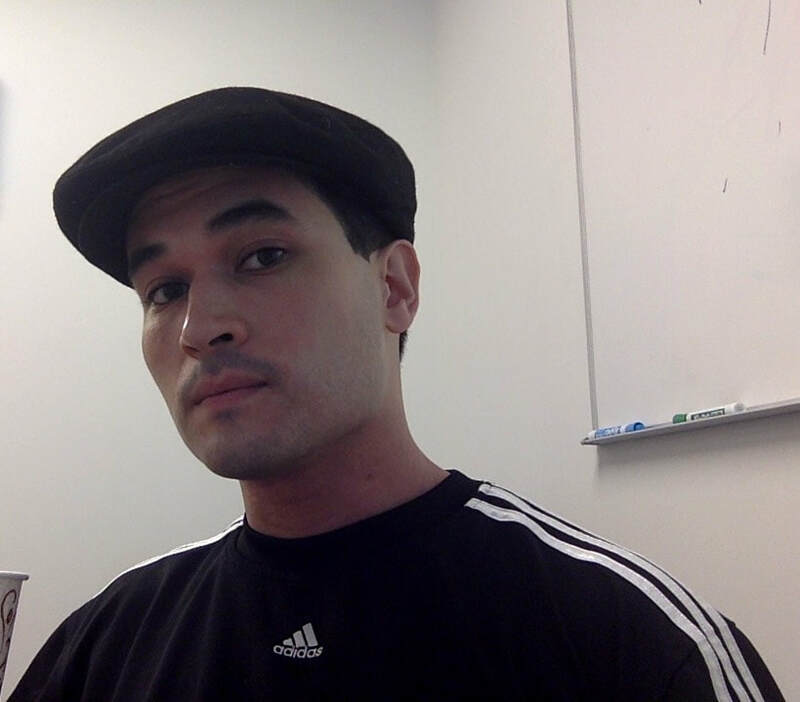 Mendez is a game writer/designer/developer, martial artist, cultural consultant, emcee, editor, and religion scholar. Find him on Twitter @LulaVampiro. During Gauntlet Con, Mendez will be running Thousand Arrows. 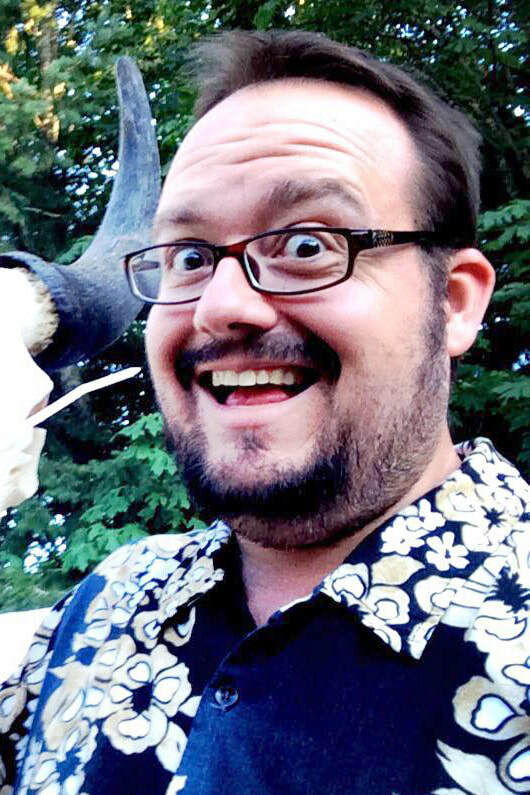 Brennan Taylor is a game designer and author of the games Bulldogs!, Mortal Coil, and How We Came to Live Here. 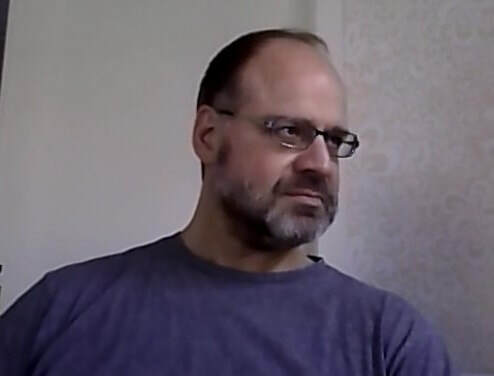 He founded the tabletop publishing company Galileo Games in 1996, and was a co-founder of Indie Press Revolution. He lives in New Jersey. ​During Gauntlet Con, Brennan will be running Thousand Arrows. 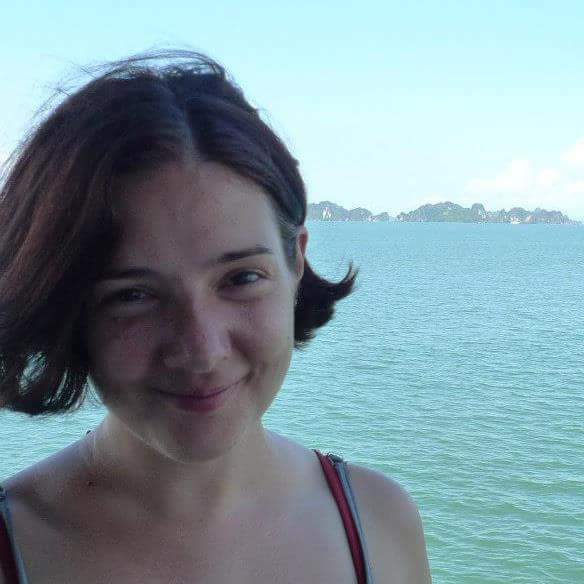 Sarah Richardson is a game designer, layout and graphic artist, writer, and Marketing Director for Magpie Games. She is currently serving as the Resource Coordinator for the Indie Games Developer Network. She is the author of the 70s girl gang RPG Velvet Glove and a co-author of the feminine horror RPG Bluebeard's Bride. 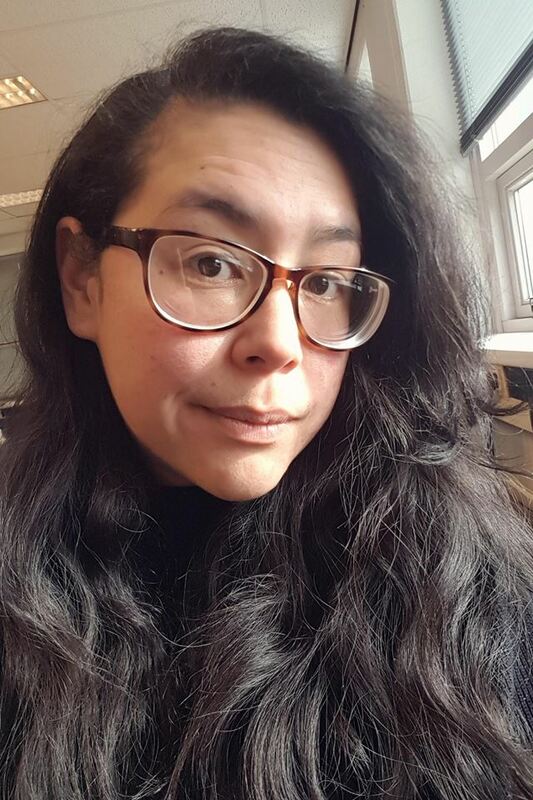 Sarah has written for The Complete Oracle, The Baby Bestiary 1 & 2, and Kult: Lost Divinites, and done layout work for Epyllion: A Dragon Epic, No Salvation for Witches, and the Cold Ruins of Last Life. During Gauntlet Con, Sarah will be running Blood Spattered Brides: Lamentations of the Flame Princess, and Velvet Glove. 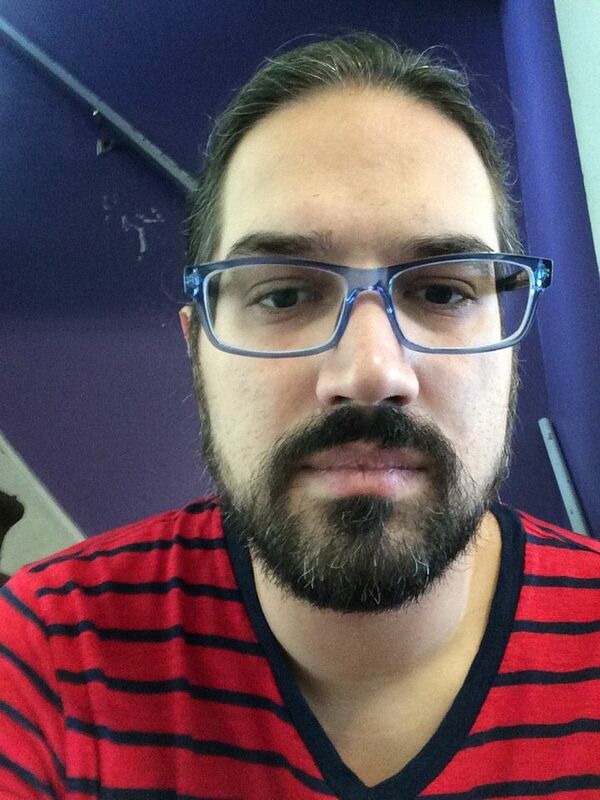 Mark Diaz Truman is a community organizer, indie rpg developer, and the co-founder of Magpie Games. 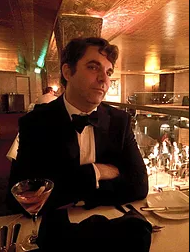 He has authored a number of indie rpgs, including Urban Shadows and Do: Fate of the Flying Temple, and he served as an editor on Masks: A New Generation, Epyllion: A Dragon Epic, Bluebeard's Bride, and The Fate Codex. His new game, Cartel, comes out in early 2019. During Gauntlet Con, Mark will be running Cartel and Zombie World. Bryan is the DM and producer for The Room Where It Happened podcast. Bryan brings a focus on LGBTQ representation and a DIY ethos to his games, with an emphasis on character driven action and emotional drama. Bryan loves to watch characters come to life at the table. ​During Gauntlet Con, Bryan will be running World Wide Wrestling, and Blades in the Dark. 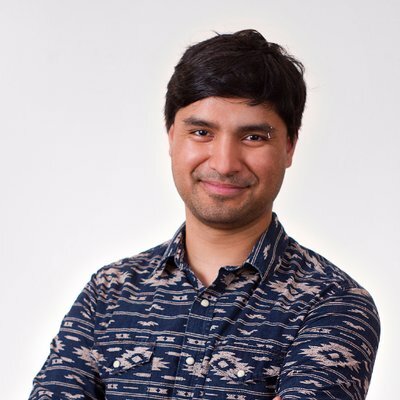 Daniel is a Toronto-based educator, podcaster, and game designer with Dundas West Games. He uses TTRPGs to teach teens history, science, and social skills at the Royal Ontario Museum. 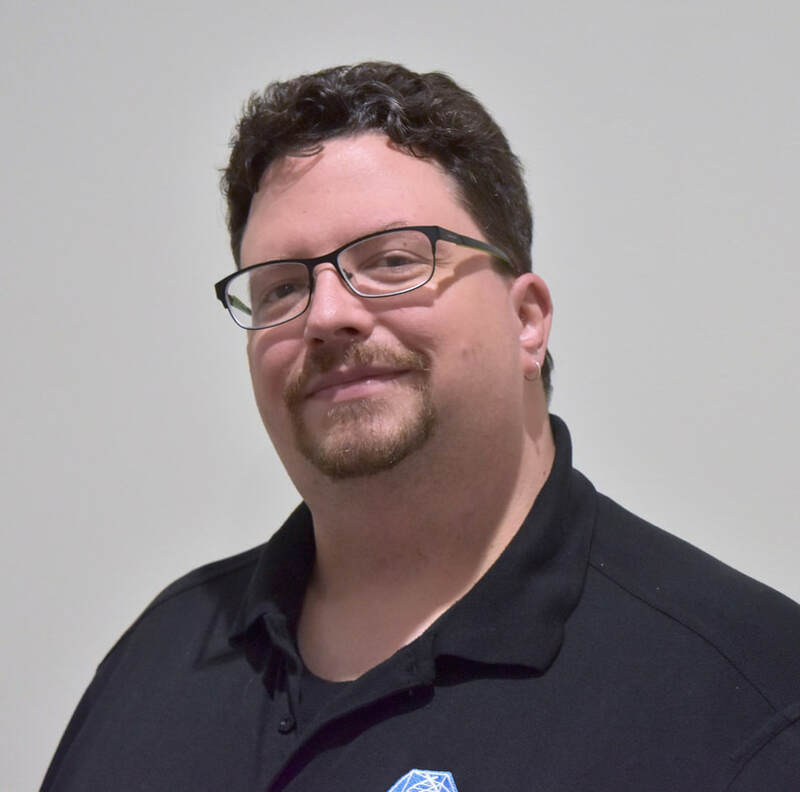 He is also one of the co-founders of Level Up Gaming, an organization that provides adults with autism and other disabilities opportunities to develop their social skills through group gaming experiences. His first TTRPG, Ross Rifles, is set for a Kickstarter debut at the end of 2018! During Gauntlet Con, Daniel will be appearing as a guest on panels. Senda Linaugh is known for her un-spellable twitter handle and contagious giggle. She is one half of She’s a Super Geek (sasgeek.com), the actual play podcast highlighting women as GMs; and one half of Panda’s Talking Games (bit.ly/MMPanda), where she and gaming mogul Phil Vecchione tackle GMing advice for one shots and campaigns. Add those together and she is one whole podcaster! Senda has published her first game with Encoded Designs, Love and Justice, as well as co-authoring Turning Point, a collaborative game of difficult life decisions, and developing for the upcoming Hydro Hacker Operatives. Senda is also a staff gnome (writer) at Gnome Stew. During Gauntlet Con, Senda will be running Turning Point. Banana Chan is the owner and co-founder of Game and a Curry, an indie promotional materials and board game publishing company. She also writes larps and roleplaying games. Her latest projects include contributing for 7th Sea: Khitai and a module for Kids on Bikes called Dads on Mowers. During Gauntlet Con, Banana Chan will be running Kids on Bikes: Dads on Mowers. Miguel Angel Espinoza is a Mexican professional graphic designer, illustrator, and programmer. He’s been playing role-playing games since the mid 90s, and in recent years he started to work on them professionally. 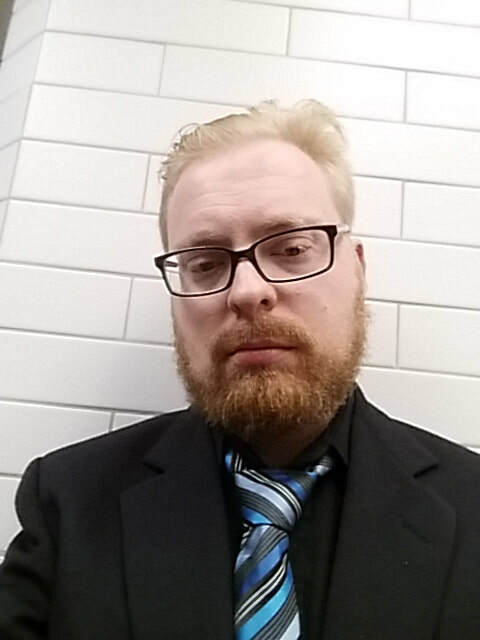 He’s done graphic design work for Magpie Games, Gallant Knight Games, Nocturnal Media and John Wick Presents. He’s currently working on his first game design project, a Mexican role-playing game about Nahuales, both in English and Spanish at the same time. You can find him on Twitter @nahualrpg. During Gauntlet Con, Miguel will be running a playtest of Nahual. The Gauntlet strives to be a welcoming, inclusive gaming community. Participants in Gauntlet Con 2018 will be expected to abide by our Inclusivity Policy.